PP ODDS Horse Last 3 Beyers Last 3 Beyers Jockey Weight Trainer Claim $ Equip. Med. 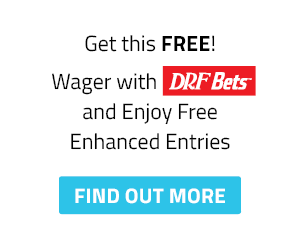 Log In to DRF.com Don't have an account? Click here to create one. 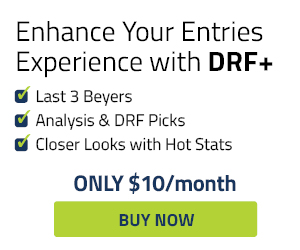 Log In to DRF.comDon't have an account? Click here to create one. Consensus Total Based on 5 points for 1 (7 for Best Bet), 2 for 2nd, 1 for 3rd. (Last 3 Beyers) (Last 3 Beyers)(sire - dam | dam sire) Jockey Weight Trainer Claim $ Equip. Med. Try our free mobile app! Error in validating entitilement. Please try again. © Daily Racing Form . All rights reserved.